What Is The Definition Of Deadwood In Bowling? 1. Deadwood is the term used in bowling for any pin that is left out on the lane or in the gutter, out of the reach of the rake. 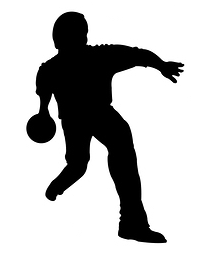 The bowler uses this term to let the pin chaser or a mechanic know that there is “deadwood” left on the lane. This gets it’s name from “deadwood” that is left floating in rivers or lakes. 1. Jones cleans up with a spare, but one of the pins sails in and out of the gutter and is now deadwood in the middle of the lane.